The Archbishop of Tegucigalpa in Honduras, and President of the international Caritas, Cardinal Rodriguez Maradiaga, is considered a likely candidate for the office of the Roman Pontiff. 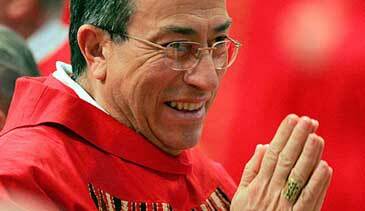 Cardinal Oscar Andres Rodriguez Maradiaga is the first ever Cardinal from Honduras and was already considered papabile during the 2005 Conclave. Maradiaga said he feels unfit to be Pope, immediately after the first reports about his favorite. However, the Salesian of Don Bosco has a good chance to become Emeritus Pope Benedict XVI’s successor. Rodriguez Maradiaga was born on December 29 1942 in Tegucigalpa, Honduras, studied theology, piano and composition, physics, mathematics, chemistry, philosophy and psychology in Tegucigalpa, Rome and Innsbruck. At the age of 28, he was ordained priest and taught chemistry, physics and mathematics. In Innsbruck, Maradiaga acquired a diploma in clinical psychology and psychotherapy. As a psychotherapist, he is member of The European Association for Behavioural and Cognitive Therapies. Since 1993, he is Archbishop of Tegucigalpa, and became president of the international Caritas in 2007. He is also a member of the Pontifical Council for Justice and Peace. The 70 year-old Salesians of Don Bosco takes a stand for the rights of the poor and against corruption in his country . Widely acknowledged, he is often called in to calm conflicts. He speaks six languages, plays the piano and saxophone and has a pilot’s license. He is regarded as staunch opponent of a globalization purely dominated by the economy. This is an ethical problem, says the Cardinal from Honduras. His socio-political commitment as the President of Caritas Internationalis not only won him applause, but also death threats. Around the year 2000, Maradiaga became known around the globe, as a patron of international debt relief campaigns. Before that, he repeatedly drew attention on the debt burden of many southern countries. The campaigns helped to put the question of the high level of indebtedness of the developing countries on the agenda of Western Governments and organizations, such as the International Monetary Fund or the World Bank. On the occasion of the upcoming election of the Pope, the Cardinal said, that the main challenge of the Church is to pass on the message of faith, to convey the meaning of the word of God, especially in modern cultures with a tendency towards the exclusion and denial of God. Theologically, he may be seen as conservative, but open to dialog. This entry was posted in Pope Candidates and tagged Archbishop, Caritas, Caritas Internationalis, commitment, Council for Justice and Peace, debt relief campaigns, Honduras, Oscar Andres Rodriguez Maradiaga, Pope candidates, psychology, psychotherapy, Rodriguez Maradiaga, Socio-political, Tegucigalpa by Osservatore. Bookmark the permalink. 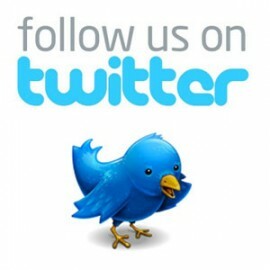 This website should stay after the Conclave in order to inform and discuss about the most influential powerfull people and movements in the church. Please let me be with you together in prayer and fast for these important and historical times of our ch urch. I will consider Walter Kasper too as a very good cansdidate.